The United States' Apollo space program sent rockets to the moon. 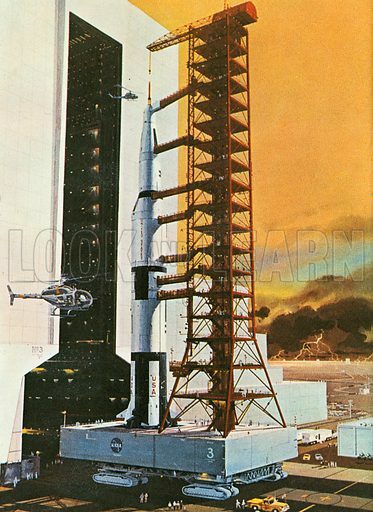 The picture shows the 370 foot rocket emerging from its hangar. The Apollo program used the Saturn-5 multi-stage liquid fuel rocket designed by Wernher von Braun the famous German-born rocket scientist. Its hangar was the world's largest building by volume. Available worldwide for immediate download up to 3,413 x 4,688 pixels.